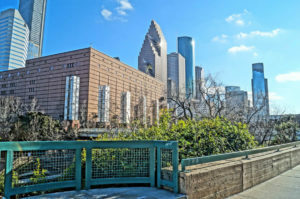 At Property Consulting Group, our goal is to ensure your Houston commercial property receives a fair tax valuation, leading to a fair tax bill. With property taxes being one of your biggest expenses as a property owner, a less than accurate valuation can cost you big. Each year the Harris County Appraisal District (HCAD) will assess your property as it stood on January 1st of that year. Given the large number of properties they assess, there are inevitably going to be inaccuracies due to changes made to the property after January 1st and other unknown information. With over ten years of experience in tax appeals and real estate, our team will gather evidence to prove your property valuation is inaccurate. We will find comparable properties and complete all of the leg work for a successful tax protest. We’ve accomplished valuation and subsequent tax reductions for commercial real estate and personal property through all administrative levels, ad valorem litigation support services, and binding arbitration appeals. Don’t wait until you receive your HCAD valuation in March or April, call us anytime and we’ll be ready with our assessment to appeal your commercial property taxes. Deadline for protesting Houston commercial property taxes is May 31st. Call 281-880-6500 or contact us today!